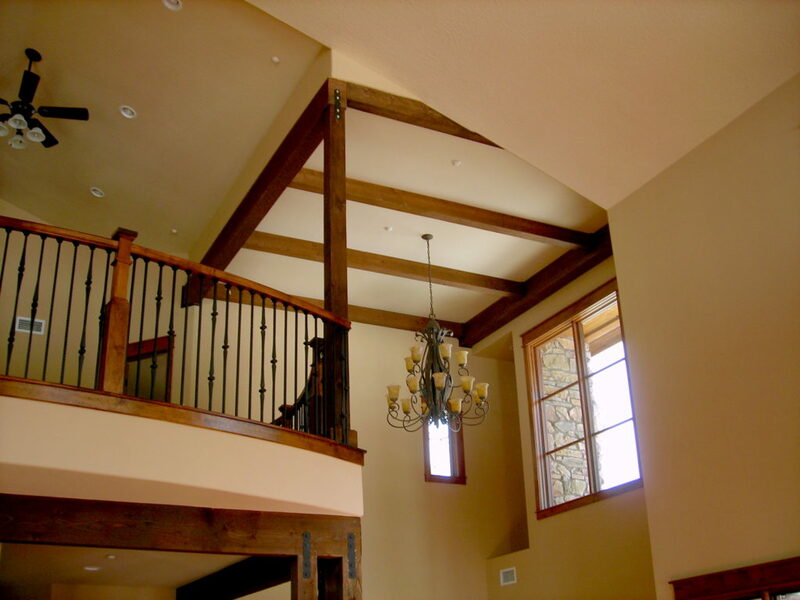 A custom rustic home designed by Myles Nelson McKenzie Design for clients in Flagstaff Ranch, which is located in Flagstaff Arizona. 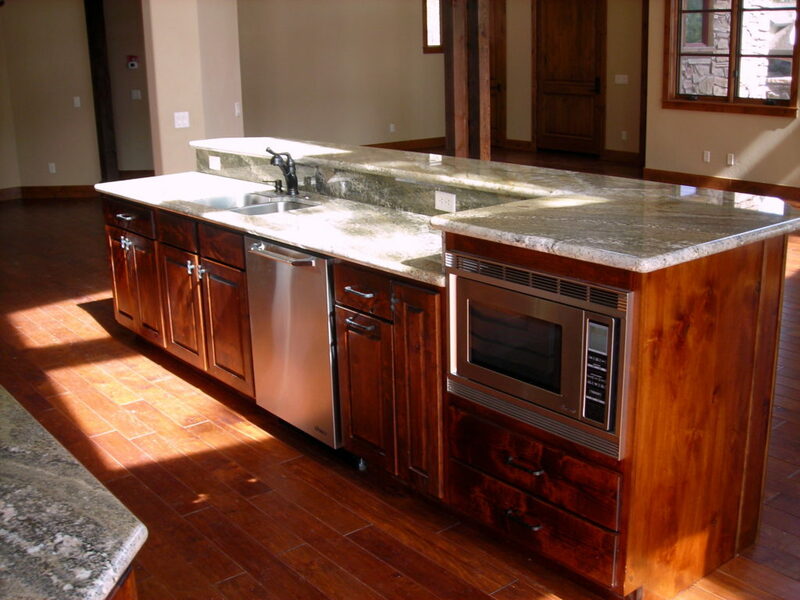 This project was built by DDBuild in 2010. 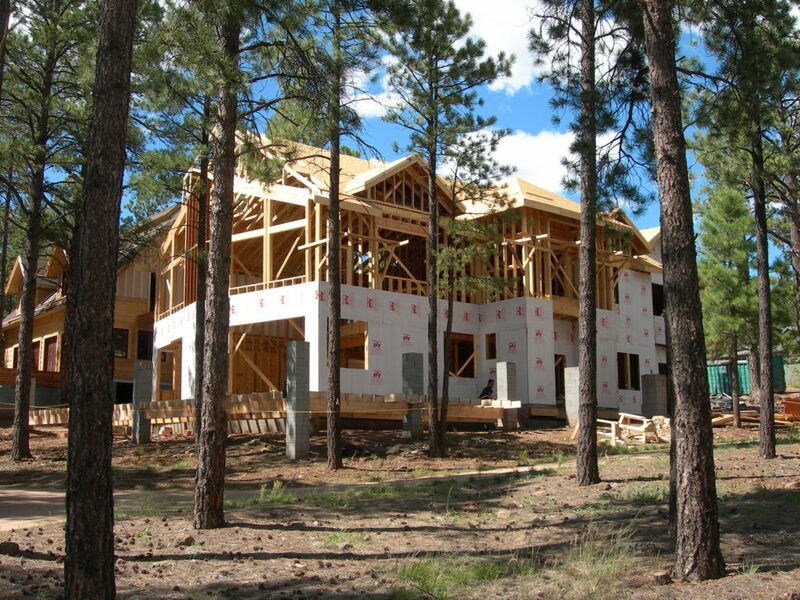 A building contractor that has built unique custom homes for clients throughout the western United States. 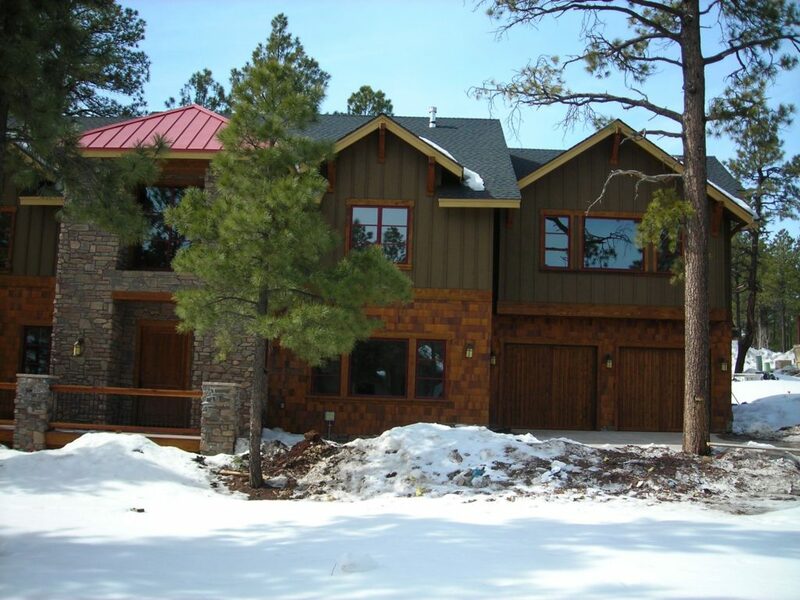 This particular custom home design was developed for the property address of 4745 Braided Rein, Flagstaff Arizona. 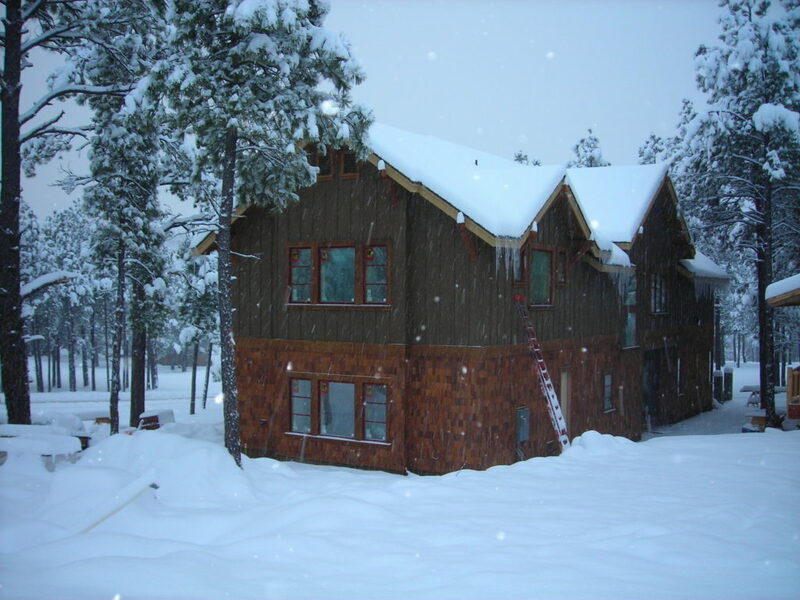 Our clients really enjoyed our previous square log mountain home designs that we developed for properties in Flagstaff Ranch. 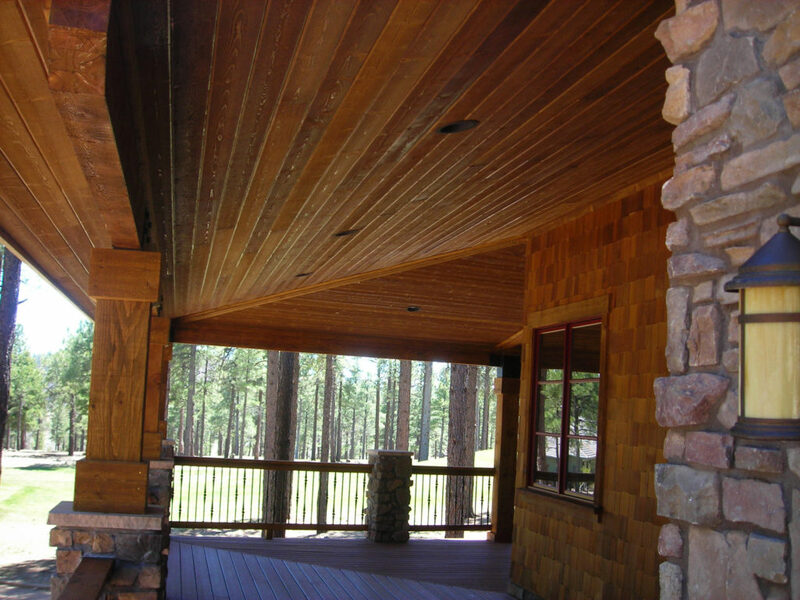 The private community of Flagstaff Ranch is located in Flagstaff Arizona. 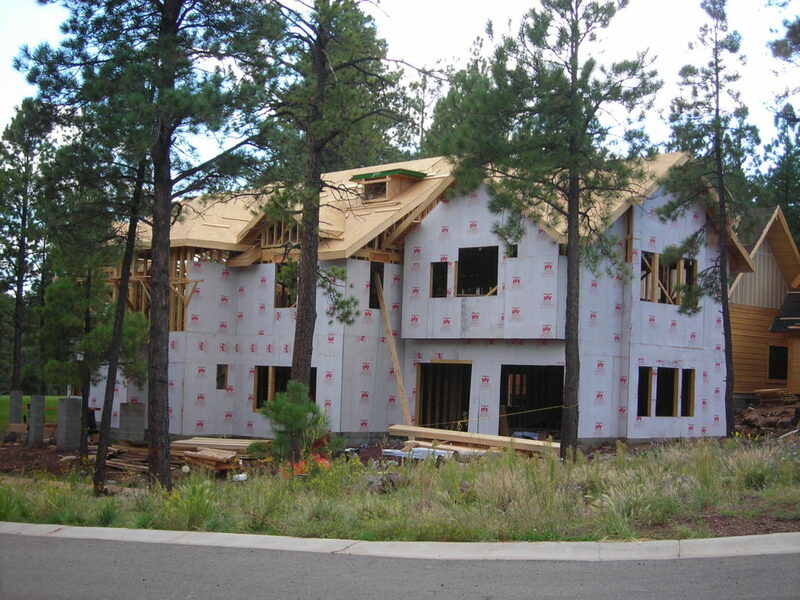 Right at the foot of San Francisco Peaks. 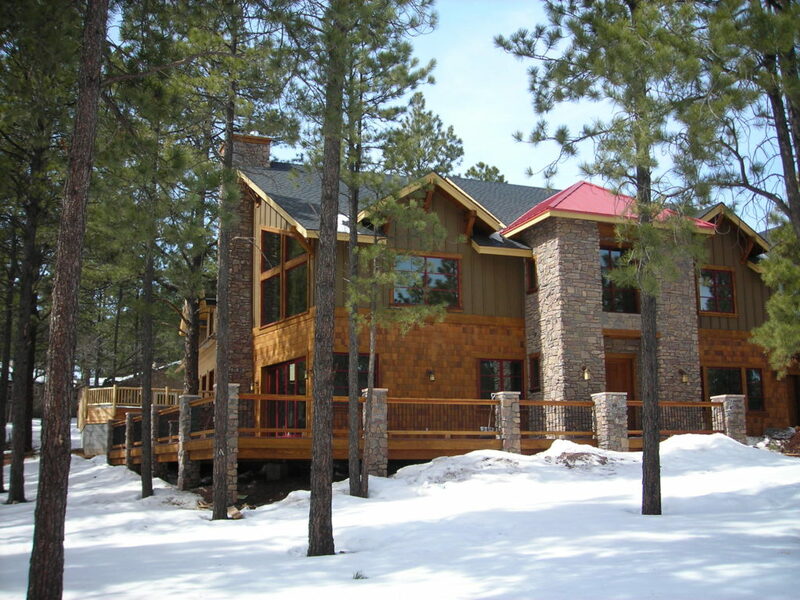 At Myles Nelson McKenzie Design, we develop a custom rustic home design based upon their living lifestyle in the mountain community of Flagstaff. 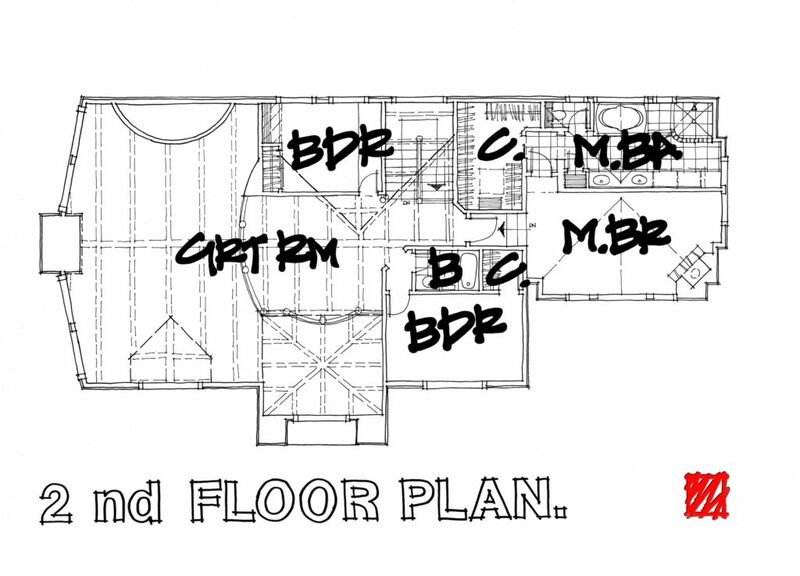 The combined floor space of this custom rustic home design is 3804 square feet. 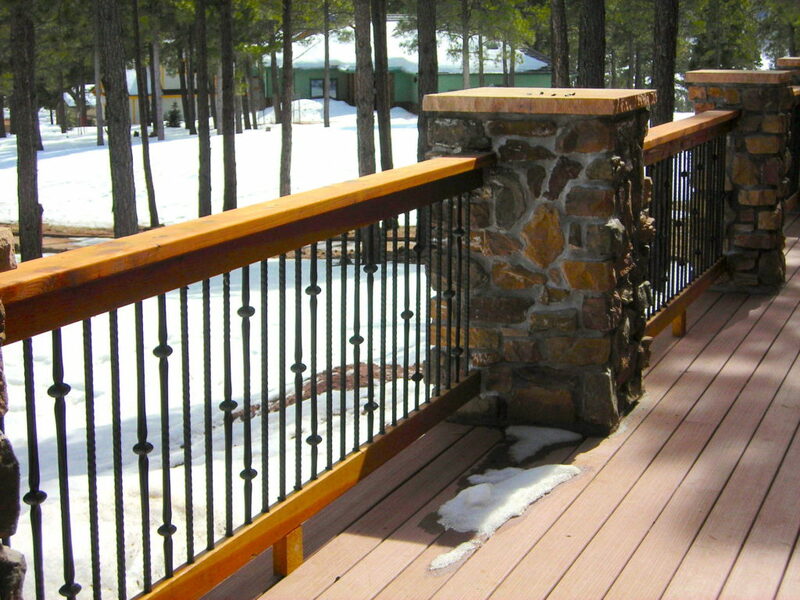 For the outdoor view decks, there is over a 1000 square feet of deck space. 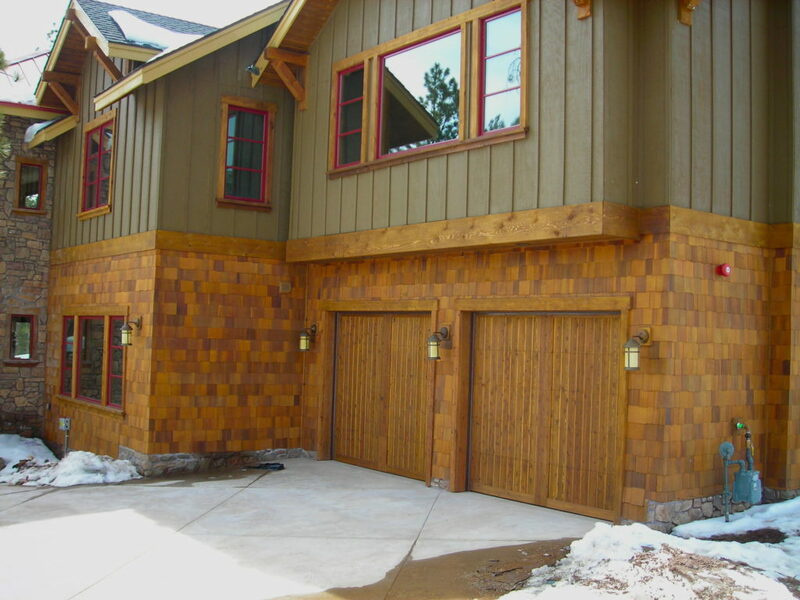 The size of the large garage is 688 square feet. 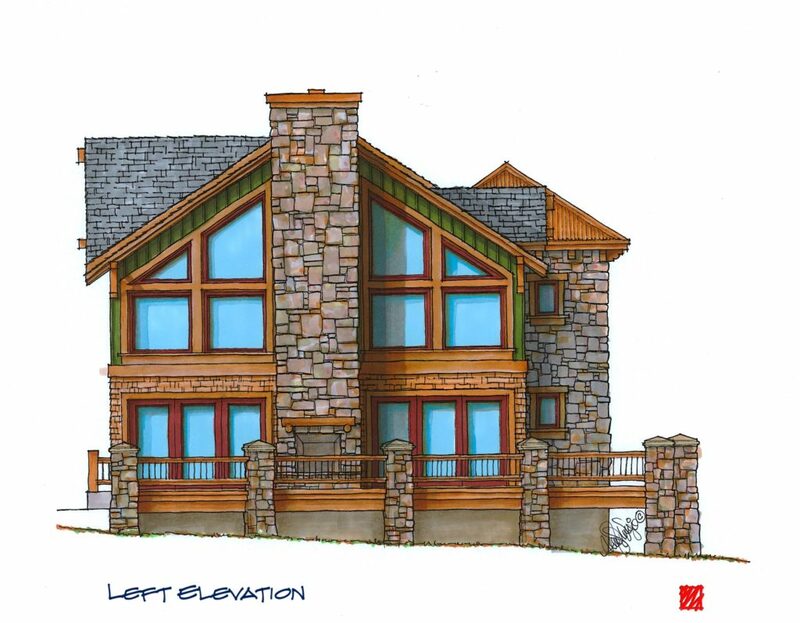 The custom home design has four bedrooms with three baths. 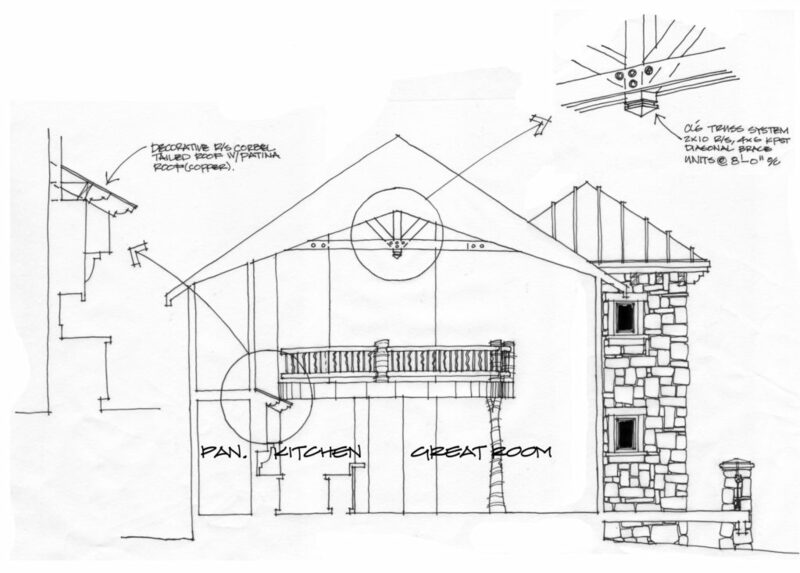 A very large great room has high two story vaulted ceilings.We designed large accordion door systems for the great room and dining room spaces. 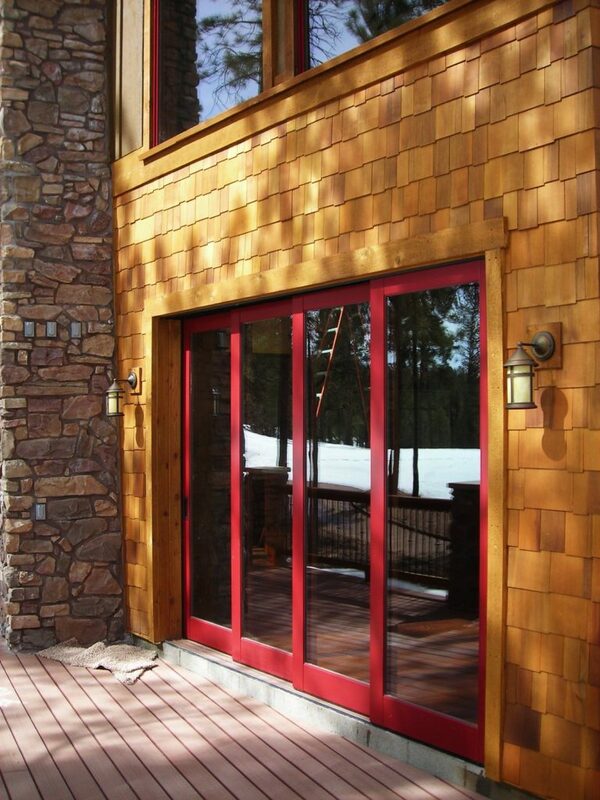 Each of the tall door systems open out to the large outdoor deck. 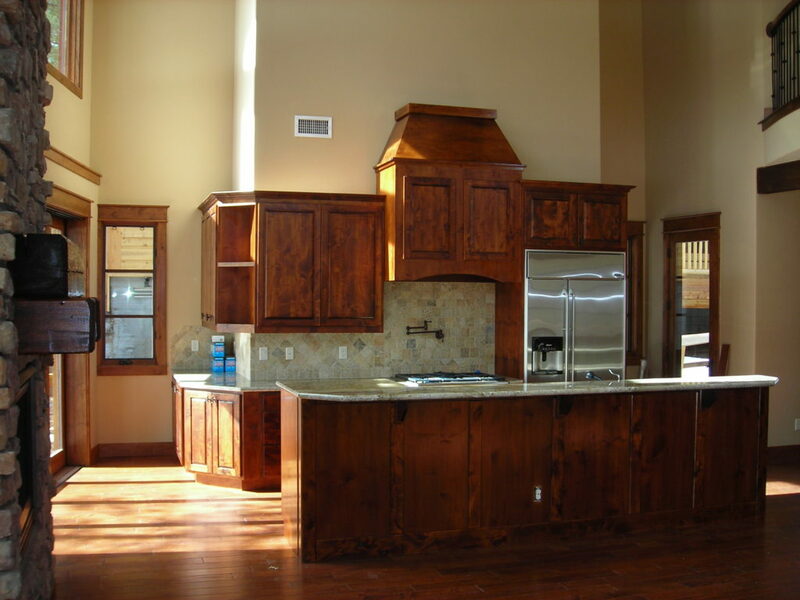 The large dining room is right next to the large chef’s kitchen. 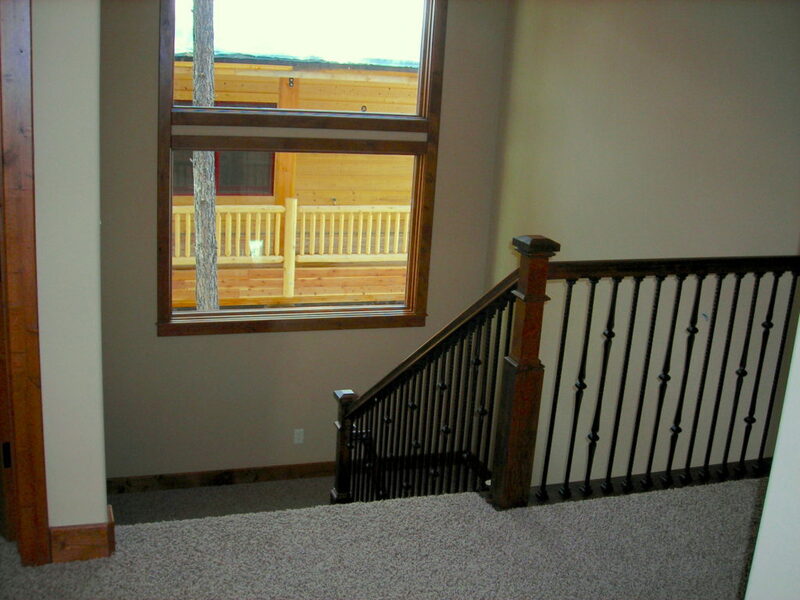 On the upper second floor, this is where the master suite, two auxiliary bedrooms and loft game room is located. 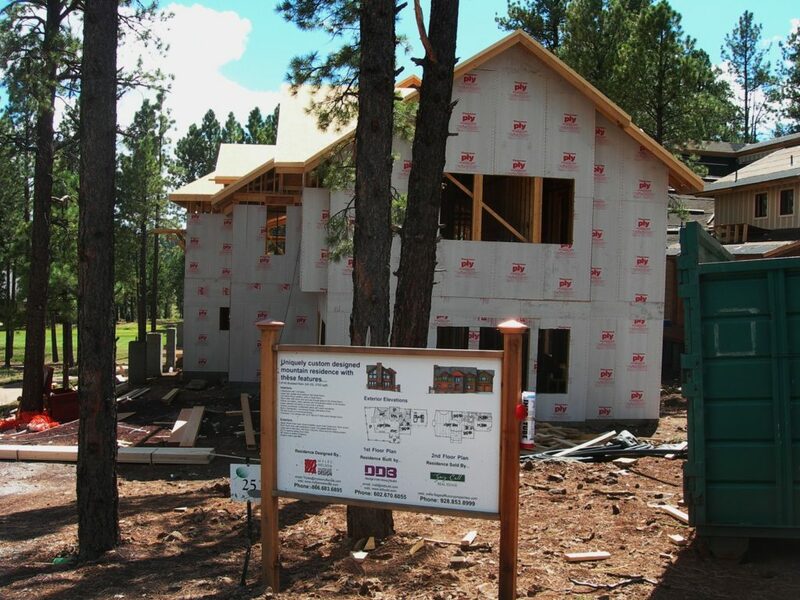 The left side of the golf course property has views thru the pine trees onto one of the tee boxes of the Flagstaff Ranch golf course. 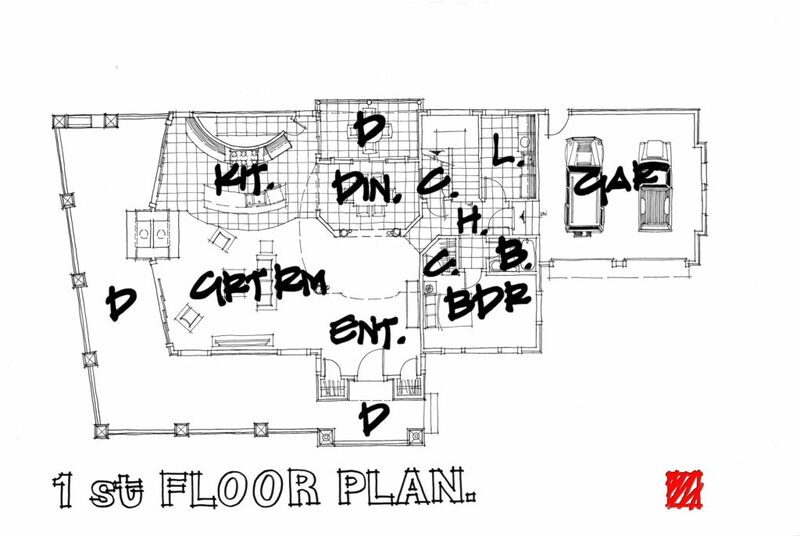 Which is a private golf course. 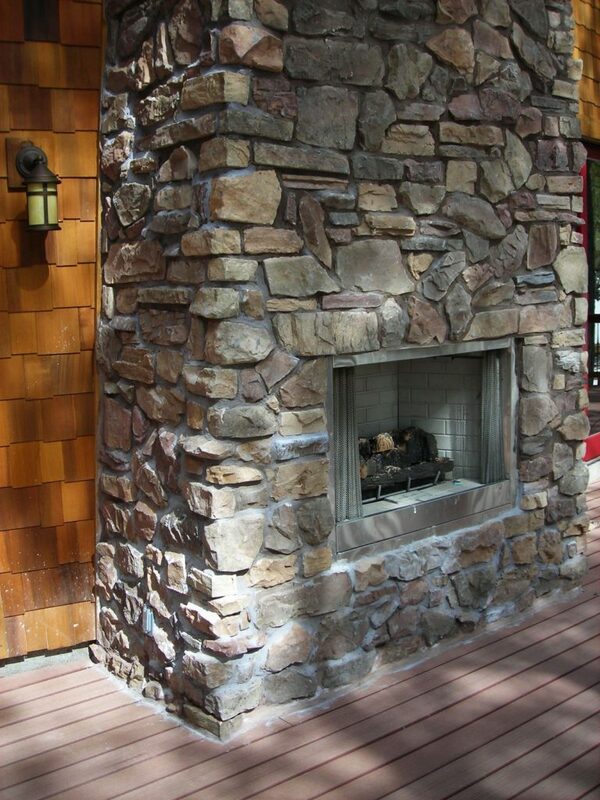 The outdoor covered living area and fireplace can be enjoyed year round. 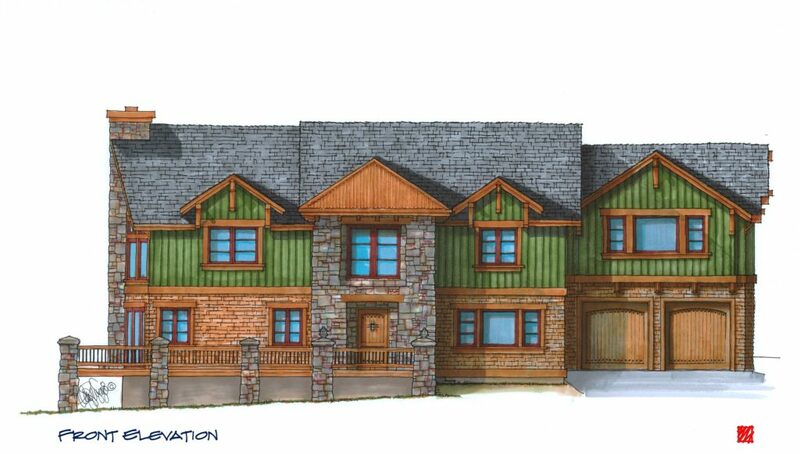 Contact us today at Myles Nelson McKenzie Design. 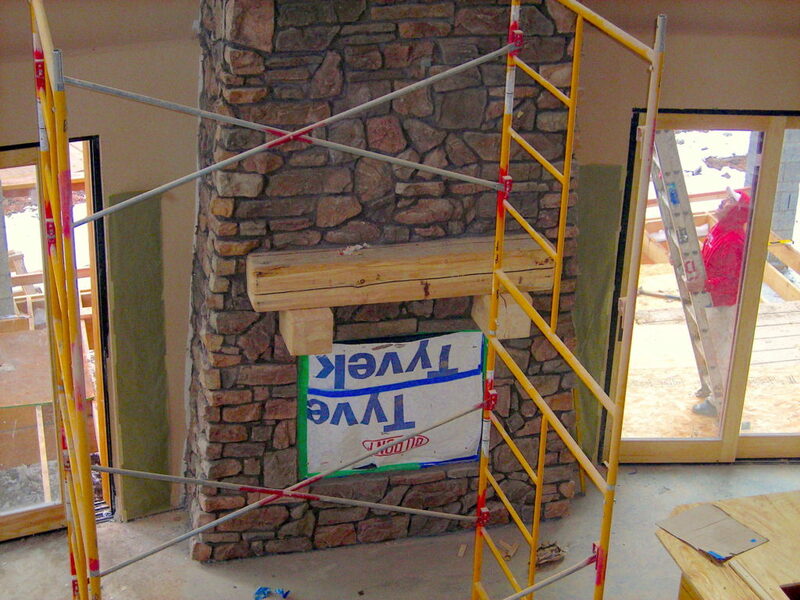 We would be happy to discuss with you, developing construction plans for your new rustic home project. 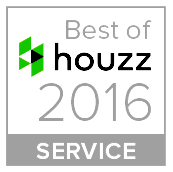 We are located in Newport Beach, California and on the east in Bluffton South, Carolina. 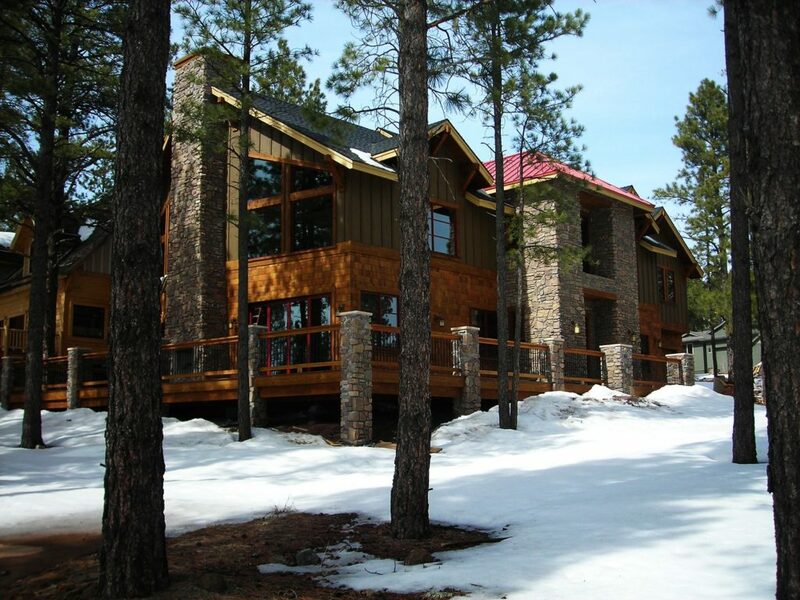 Click here to view our other custom designed square log mountain homes in Flagstaff Ranch. 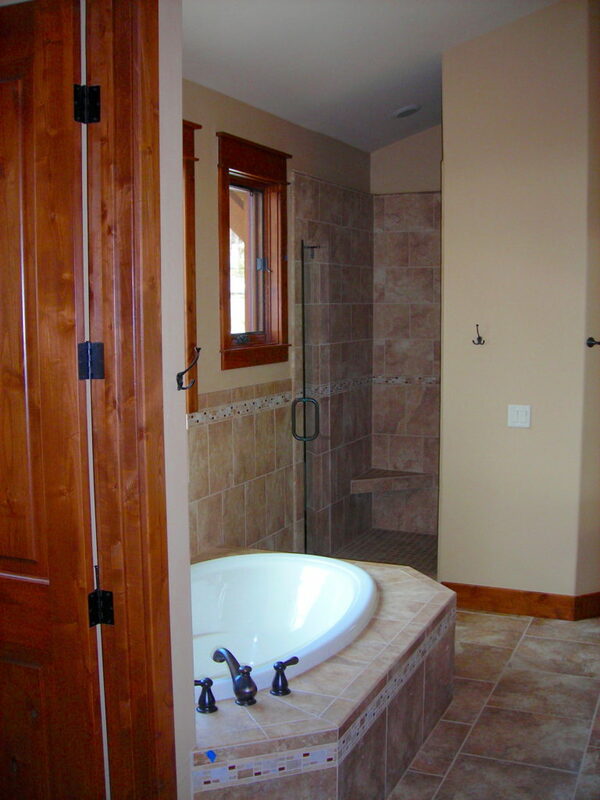 Previous Post Previous post:Choose The Right Freestanding Bathtub?